The Act that was passed at today’s sitting of the Riigikogu transposes the European Union directive on migration for the purposes of study and research that facilitates the intra-European Union mobility of researchers and students from third countries. According to the Act, researchers and students from third countries are able to move in the European Union Member States without having to apply for a residence permit of the host Member State. 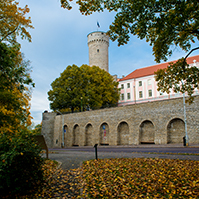 In the future, researchers can stay in Estonia under a residence permit or visa issued in another Schengen country until the end of the period of validity of the document. 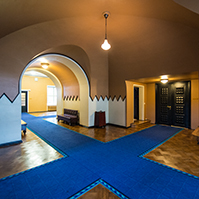 Students can study in Estonian institutions of higher education for up to 360 days on the basis of such a permit. 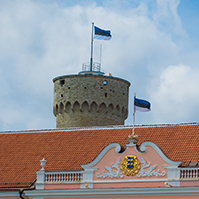 The Act also makes an amendment that allows researchers, students and teaching staff to stay in Estonia for 270 days instead of the current 183 days in order to work or set up a business here after the end of the period of validity of their residence permit. In addition, the directive determines the conditions for the admission to and residence in Estonia of au pairs from third countries. An alien who wishes to come to Estonia to learn the language and to get to know Estonian culture can register for short-time employment here for up to nine months or to apply for a temporary residence permit for employment for up to one year as an au pair. The maximum number of hours of au pair duties per week must not exceed 25 hours, and at least one day per week must be free from au pair duties. The deadline for the transposition of the directive is 23 May 2018. During the debate, Artur Talvik from the Free Party Faction, Mart Helme from the Conservative People’s Party Faction and Jürgen Ligi from the Reform Party Faction took the floor. 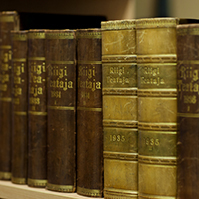 65 members of the Riigikogu voted in favour of the Act on Amendments to the Aliens Act (590 SE), initiated by the Government. Thirteen were against, and there were eight abstentions. 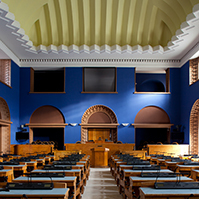 The Resolution of the Riigikogu “Amendment of the Resolution of the Riigikogu “Formation of the State Budget Control Select Committee”” (612 OE), submitted by the Estonian Free Party Faction, provides for the appointment of Enn Meri as a member of the select committee to replace Andres Ammas. 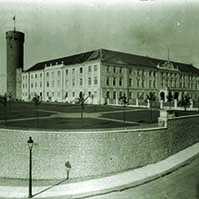 78 members of the Riigikogu voted in favour of the Resolution. The Cyber Security Bill (597 SE), initiated by the Government, will transpose the European network and information security directive. The requirements for implementation of security measures and notification of cyber incidents for operators of essential services and digital service providers will be established nationally. The tasks of the national supervisory authority, the Information System Authority, in coordinating the ensuring of cyber security and in organising cross-border cooperation will also be specified. The aim of the Bill is to strengthen the protection of the network and information systems used in the provision of the services critical for society, and for the functioning of the work of state and local authorities. The explanatory memorandum notes that, when the Act enters into force, the service providers significantly affecting the functioning of the society (for example, vital services, important infrastructure businesses, the Estonian Internet Foundation) as well as larger digital service providers (online marketplaces, online search engines and cloud computing services) will have to implement organisational, physical and information technology security measures based on a risk analysis. They will also have to monitor activities that pose a threat to security, and to implement measures to reduce the impact and spread of incidents as necessary. In addition, an obligation to notify the Information System Authority of cyber incidents with a significant impact will be established. In the public sector (including in local authorities) the obligation to implement information security measures also extends for example to mail servers, file servers and document management systems. Up to now the obligation to implement security measures arising from legislation has applied only to information systems that are databases within the meaning of the Public Information Act. The Bill will not provide for significant new obligations for the public sector. Ensuring the security of information systems has been part of the development and management of IT-system for a long time already. Eight motions to amend the Bill were submitted during the second reading. One of the major motions to amend provides that, in the case of family physicians, it is necessary to harmonise the security requirements of the information systems used by them in order to avoid for example personal data leakages or data encryption in the course of ransomware attacks. The aspect regarding the rules of legislative drafting allows for the motion to amend to enter into force later. Because of the large number of family physicians, by agreement with the Ministry of Social Affairs, the provisions concerning them will enter into force on 1 January 2022, considering the actual capability to meet the requirements of the Act. One motion to amend amends the Estonian Public Broadcasting Act by adding the obligation of the Public Broadcasting to meet the requirements established in §§ 7 and 8 of the Cyber Security Act and on the basis thereof, with a view to ensuring the security of the systems used to effectively transmit adequate information in situations endangering the population or the nation. Taking into account that information is extremely important when informing the population of crises or important events concerning the society, consistent and uninterrupted functioning of the Public Broadcasting must be ensured. Under a motion to amend, the provisions concerning the Estonian Public Broadcasting will also enter into force on 1 January 2022, considering the actual capability to meet the requirements of the Act. The Metrology Bill (566 SE), initiated by the Government, will provide for the requirements for measuring instruments, and the use and conformity assessment thereof, in order to ensure reliability and traceability of measurement results. Using a measuring instrument that complies with the requirements is an important basis for achieving reliable measurement results. Measuring instruments do not pose a potential threat to human life, health or the environment, as compared to lifting equipment or the handling of explosives. Therefore the need to protect measuring and the reliability of the result thereof has mainly been taken as a basis in the establishment of the requirements provided for in the Metrology Act. The Bill will comprehensively update the current Metrology Act to eliminate the shortcomings and interpretation problems occurring in practice, as well as unreasonable restrictions. The new Act will be simpler, more practical and less ambiguous. At the same time, the Act relates better to other associated legislation, such as for example the Law Enforcement Act and the Product Conformity Act. Three motions to amend the Bill were submitted during the second reading. One motion to amend concerns the repeal of the provision of the Traffic Act which sets out the requirement that companies inspecting compliance with roadworthiness testing of vehicles must be competent measurers. The Bill on Amendments to the Bar Association Act, the Courts Act, the Bailiffs Act and Other Acts (583 SE), initiated by the Government, will provide for a reduction in the scope of the functions of the Ministry of Justice in connection with liberal legal professions such as notaries, lawyers, bailiffs, trustees in bankruptcy and patent attorneys. The functions related to the organisation of professional activities, such as the organisation of examinations, suspension and resumption of professional activities, substitution, evaluation, recognition of foreign professional qualifications, and functions related to data will be transferred to professional associations governed by public law. The Bill will provide for the establishment of the Chamber of Patent Attorneys as a legal person governed by public law. In the Courts Act, the reconciliation of the office of judge and studies will become more flexible, as it will be possible for judges to work as teaching staff at universities in public law. It will also be possible to transfer judges to state service, and judges will have the possibility to work in international judicial institutions and to receive remuneration for that. Ten motions to amend were submitted during the second reading. 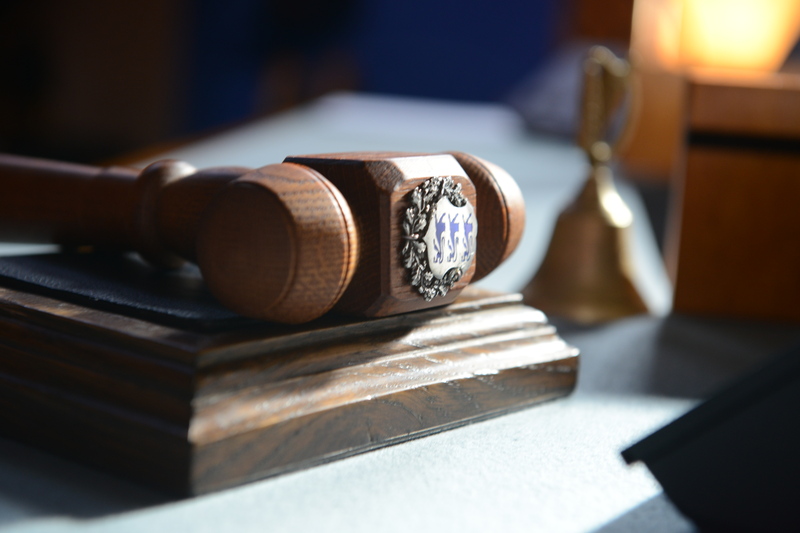 One motion to amend concerns the change of the rates of the bailiff’s basic fee contained in the Bailiffs Act. On the basis of a judgment of the Supreme Court, it is necessary to change the rates of the bailiff’s basic fee and to bring them into conformity with the Constitution. 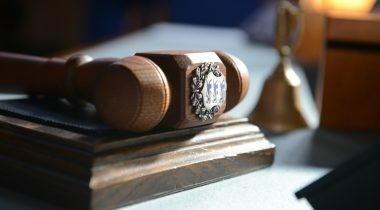 The aim of the second major motion to amend is to increase legal clarity, and the wording of § 132 of the Code of Enforcement Procedure will be specified, which will enable a bailiff to seize in one month up to 20% of an income of an amount of the minimum salary of the debtor (and less than that) if the other assets of the debtor are not sufficient to satisfy the claims of the creditor. As the third major amendment, all provisions concerning the amendment of the Sworn Translators Act were omitted from the Bill because sworn translators lack the interest and capacity to independently perform the obligations relating to the Chamber. Külliki Kübarsepp from the Free Party Faction took the floor during the debate. The Free Party Faction moved to suspend the second reading of the Bill. 16 members of the Riigikogu voted in favour of the motion and 39 were against. The motion was not supported and the second reading of the Bill was concluded. The Bill on Amendments to the Code of Misdemeanour Procedure and Amendments to Other Associated Acts (580 SE), initiated by the Government, will include a new type of proceedings – alternative proceedings which will be applied in the case of lesser misdemeanours – in the Code of Misdemeanour Procedure. Alternative proceedings will help save time for people and the police, and avoid excessive punishment of people. Alternative proceedings will be applied in the case of more simple misdemeanours that involve no direct harm to human life or property. For example, travelling by bus without a valid ticket, ignoring a red traffic light, driving without wearing a seat belt, exceeding the speed limit by less than 20 km/h, and driving a vehicle that does not have motor insurance. In the case of such misdemeanours, a fine will be imposed according to the particular violation in the amount of 20–80 euro. The use of alternative proceedings will significantly reduce the time spent on paperwork. If today misdemeanour proceedings last for an average of nearly 20 minutes, the duration will hopefully be reduced to about five minutes as a result of the legislative amendment. The implementation of alternative proceedings will save resources to the extent of an estimated one police patrol per 24 hours. The explanatory memorandum notes that today there are entries concerning nearly 250,000 people, that is, about 20 per cent of Estonian people, in the criminal records database. For example, violations such as travelling by bus without a valid ticket, crossing the street on a red traffic light, or a broken registration plate lamp on a car are also recorded in the criminal records database. In the future, violations on which alternative proceedings are conducted will not be recorded in the criminal records database. This will create a definite distinction between the punishments imposed in the case of more severe violations and the warnings imposed in the case of lesser violations. With the Bill on the application of alternative proceedings, seven different Acts will be amended, for example, the Code of Misdemeanour Procedure, but also the Traffic Act, the Tobacco Act and the Public Transport Act. Four motions to amend the Bill were submitted during the second reading. One motion to amend proposes to omit from the Bill the regulation that would refer the holder of a provisional driving licence to a driving theory test if a sanctioning fine for violating traffic rules has been imposed on him or her within the last twelve months. The aim of the second major amendment is to omit from the Bill the amendments to the Road Transport Act. The amendment proposes to omit from the Bill the regulation provided for in the Road Transport Act that would give legal effect to the data concerning sanctioning fines entered into the e-file system, and would enable the state to apply additional measures. The third major motion to amend will amend the Fire Safety Act by adding provisions that determine the elements of misdemeanour in the case of which it will be mandatory to apply alternative proceedings. The Bill on Amendments to the European Parliament Election Act and Other Acts (400 SE), initiated by the Estonian Centre Party Faction, the Social Democratic Party Faction and the Pro Patria and Res Publica Union Faction, provides for making both electronic voting and paper voting more uniform. According to the Bill, the advance voting period will be harmonised in the Acts concerning elections regardless of whether the voting takes place electronically or on ballot papers. Advance voting will be held from the sixth day to the fourth day before election day. In the course of the second reading, one motion to amend the Bill had been submitted. The motion to amend will shorten the voting period to one week as of 2021. According to the plan, it would be possible to vote outside the electoral district of residence from Monday to Thursday, and electronically from Monday to Saturday, and the time of voting at home will be extended from Friday to Sunday. In addition, the amendment is intended to implement an electronic list of voters that would extend the opportunities for voters to vote. Since the data on a voter are available electronically and not on paper, in the future, the voter will be able to vote in all voting districts of his or her electoral district irrespective of his or her place of residence. During the debate, Jürgen Ligi from the Reform Party Faction, Jüri Adams from the Free Party Faction, Mart Helme from the Conservative People’s Party Faction and Arto Aas from the Reform Party Faction took the floor. The lead committee moved to suspend the second reading of the Bill. The deadline for submission of motions to amend is at 5.15 p.m. on 9 May. The Bill on Amendments to the State Pension Insurance Act and Amendments to Other Associated Acts (613 SE), initiated by the Government, discusses amendments relating to the retirement age and the pension formula, and the establishment of flexible pension, as well as the reopening of the possibility for making contributions to the second pillar pension. The aim of the amendments is to ensure that pensions are more solidary, take into account demographic trends, and are sufficiently flexible so that a person could choose for himself or herself when he or she wishes to retire. The amendments proposed by the Bill mainly concern persons who were born in 1962 or later and will reach retirement age after 2026. The explanatory memorandum notes that the Bill will link the retirement age to life expectancy starting from 2027. Under the current procedure, the retirement age depends on the year of birth of the person, and it is 63 years and 6 months at present. The transitional period will last until 2026 when the retirement age will be 65 years. The Bill will link the change to the retirement age to the change in the average life expectancy for 65-year-olds. If life expectancy rises, the retirement age will also rise, and vice versa. The retirement age may increase by up to three months in a calendar year. Starting from 2021, retirement will become more flexible. Under the Bill, in the future, it will be possible to retire up to five years before the retirement age, or to postpone the receipt of pension for as long as one wishes. As a result of the amendments, people will be able to work according to their skills and health, and also receive a flexible pension during that time. To ensure adequate pensions, the pension formula will be changed. This means that, instead of an insurance part depending on the amount of remuneration, in 2021–2036, people will collect a combined part, of which one half will consist of the insurance part depending on remuneration, and the other half of the part calculated on the basis of years of pensionable service. Starting from 2037, the amount of the first pillar pension will depend only on years of employment. The connection with the amount of remuneration will be preserved through the second pillar to which both the employee and the state make contributions, which at present are two per cent and four per cent of the remuneration, respectively. The possibility to make contributions to the second pillar will be reopened to persons who were born in 1970–1982. The future pension system will consist of the solidary first pillar depending on the length of employment, the second pillar depending on social tax, and the voluntary third pillar based on the person’s contribution. During the debate, Jürgen Ligi from the Reform Party Faction, Marika Tuus-Laul from the Centre Party Faction, Monika Haukanõmm from the Free Party Faction, Henn Põlluaas from the Conservative People’s Party Faction and Eiki Nestor from the Social Democratic Party Faction took the floor. The Bill on Amendments to the Military Service Act and Other Acts (607 SE), initiated by the Government, will provide for the possibility to restrict the validity of or application for certain rights and permits granted to persons who evade conscript service and reservist trainings which is an obligation arising from the Constitution. Pursuant to the Bill, it will be possible for the Defence Forces and the Defence Resources Agency to file an action with an administrative court to suspend the validity or the issuing of the right to drive power-driven vehicle, the right to command a recreational craft and personal watercraft, a weapon permit, a weapon acquisition permit, a fishing card and hunting rights, in addition to imposing penalty payments and punishments for misdemeanours. The planned measures are similar to the measures already in force in regard to maintenance debtors. Tarmo Kruusimäe from the Pro Patria and Res Publica Union Faction took the floor during the debate. The Bill on Amendments to the Weapons Act, the Strategic Goods Act, the Explosives Act and Other Acts (615 SE), initiated by the Government, will establish a legal framework in order that Estonian undertakings could begin to manufacture, maintain, import and export weapons of war, ammunition, munitions of war and combat vehicles. The current legislation does not allow for this. The explanatory memorandum notes that the Estonian defence industry is taking large steps to become a credible partner on the global scale for various national security forces as well as for other defence industry companies. The Estonian defence industry companies are ready to produce several defence products, and they stand out as developers and manufacturers of “smart solutions”. At the same time it is of critical importance in terms of Estonian military defence that also undertakings located in Estonia have the ability to manufacture the weapons of war, ammunition and munitions of war, and to maintain the weapons of war necessary for defence. However, at present, the Estonian legal space does not allow for that, or allows with great restrictions. With undertakings located in Estonia having the possibility to handle weapons of war and munitions of war, on the one hand, the Defence Forces will be able to manage their armament more sustainably, and, on the other hand, defence industry companies will be able to expand their activities and to offer their products also outside Estonia. Igor Gräzin from the Reform Party Faction took the floor during the debate. At the beginning of today’s sitting, the Minister of Public Administration Janek Mäggi and the Minister of Health and Labour Riina Sikkut took their oaths of office. The sitting ended at 7.20 p.m.
Verbatim record of the sitting (in Estonian) http://stenogrammid.riigikogu.ee/en/201805021400.